Campaigners in the US have welcomed the approval of a new dopamine pump as “a huge step forward” for treatment of people with advanced Parkinson’s disease. Responding to news that the US Food and Drug Administration had approved DUOPA – a portable infusion pump that delivers carbidopa and levodopa directly into the small intestine – NPF national medical director Dr Michael S. Okun said: “The approval of the dopamine pump for the treatment of Parkinson’s disease is a huge step forward for treatment of Parkinson’s disease patients suffering from motor fluctuations and other disabling symptoms. NPF is collaborating with AbbVie in the development and delivery of comprehensive training programs for key stakeholders involved in managing treatment with DUOPA. 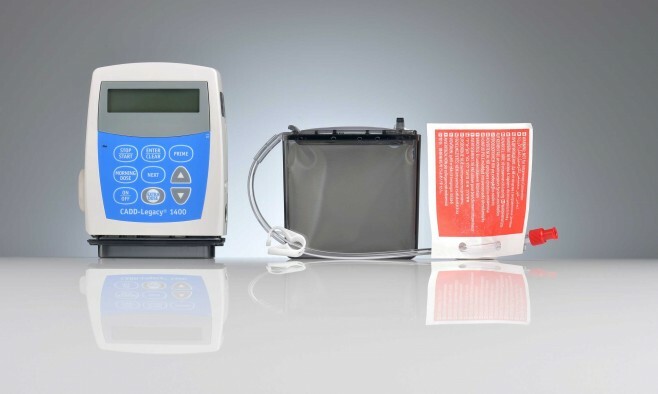 The pump was approved by the FDA as an orphan drug, a designation granted to products intended for the treatment of rare diseases or conditions affecting fewer than 200,000 patients in the US. According to AbbVie, the new treatment is the first and only treatment providing 16 continuous hours of carbidopa and levodopa for motor fluctuations in advanced Parkinson’s. In a clinical trial, patients treated with DUOPA reportedly experienced significantly greater reduction in ‘off time’ than patients treated with oral carbidopa-levodopa immediate release tablets. C. Warren Olanow MD, of the Department of Neurology and Department of Neuroscience, Mount Sinai School of Medicine, and lead investigator of the DUOPA trial, said: “There is an unmet need for treatment options for patients with advanced Parkinson’s disease. As the disease advances, it can be difficult to control motor features.